With a renewed focus on helping users make new friends, instead of keeping in touch with friends from the past, MeetMe found more success than ever. In 2012, Inc.com even called it “one of the 25 most-trafficked websites in the U.S.” What makes MeetMe such a success? The answer is simple:it’s fun. MeetMe is a social discovery service that is committed to making “meeting people fun through social games and apps.” Signing up is easy, filling out a profile is a speedy process, and interaction with other users is entertaining. Whereas using more traditional dating sites can sometimes feel like a chore, using MeetMe feels like an amusing diversion. And best of all, it's all free. To join, new members can sign in with their Facebook accounts or register with their e-mail addresses. Only basic information is required, then new users are given the option to add a profile photo and follow other users near their location. After joining, members can add more detailed information to their profiles or customize their profile links. Further customization is available through Stickers and layouts that can be purchased using the site’s virtual currency, Lunch Money. Lunch Money can be earned several ways. It is available for purchase, but users can also receive Lunch Money by performing certain actions on the site. Options to earn Lunch Money for free include logging into MeetMe every day, playing Games, browsing the site, and finding Secret Admirers in Match. Once Lunch Money has been accumulated, users can unlock other fun features on the site. Playing basic games, like air hockey, solitaire, and crosswords, is free, but Lunch Money is required to use other features like Owned. In Owned, users buy and sell their friends using the virtual currency. Earn L$1 for every photo you view, and earn half the profit when you sell someone or when your photo is purchased. You can also check your rank compared to your friends and other MeetMe members. To play the Blind Date game, users must upload a photo. Use the “Find a Date” tab to fill the game board with 4 people you think could be potential matches, then answer the questions under the “Blind Date Games” tab. Answer 2 out of 3 correctly for any Date to make a match. Of course, it's not just about the fun and games on MeetMe. There are also the more basic search functions that you would expect on an online dating or social networking site. Use the Match application to identify people within a specified age range and/or geographic location and attempt to discover your Secret Admirers. 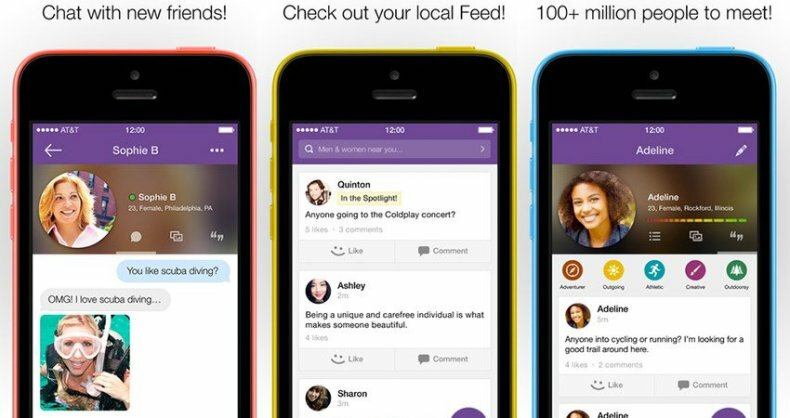 Use Locals to find new friends in your area. Get involved in the conversation using Ask Me, a feature that allows users to send and receive anonymous questions to each other. Keep updated on all the most interesting activity on the site using the Live Feed, a Facebook Newsfeed-esque feature that updates in real-time. 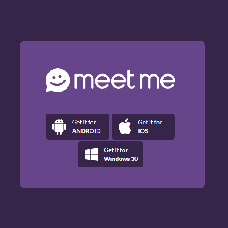 And do it all on the go, using the MeetMe iOS and Android apps.